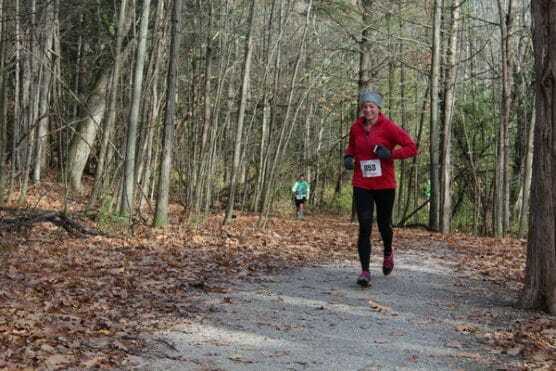 Held in this small northwestern Vermont town located here along the shores of Lake Champlain, the Race Vermont Fall Half features an out-and-back loop route that takes runners past countryside filled with rolling, green farmlands, tree-lined roadways and wide-open fields. From the Shelburne Health & Fitness center at The Field House, which lies just off Shelburne Road, runners make their way out of the health and fitness center toward Harbor Road, where they head west into the residential neighborhoods just south of Harbor Road along a roughly two-mile loop. 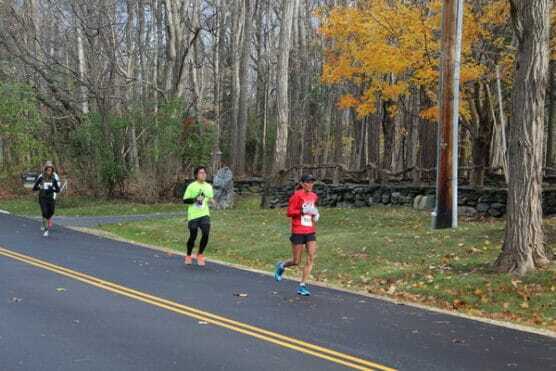 Once they make it back, the course heads south again along Limerick Road down to the first water station at the turnaround on Limerick, and then once again back up to Harbor for the turn onto Southern Acres Farm Road. 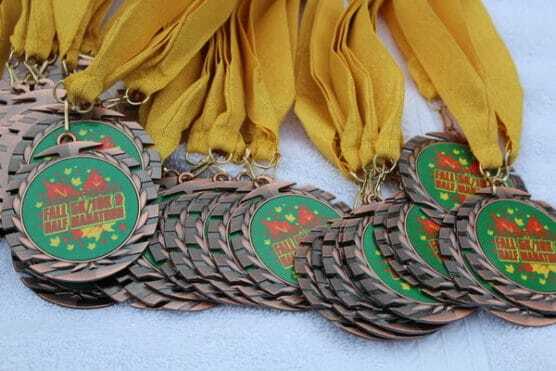 Bear in mind that if the course looks familiar to runners who’ve participated in the RaceVermont.com Spring Half Marathon, it should — the same course is used for both the spring and the fall races. Roads and trails. While the first half of the race takes runners entirely on paved roads through the town, the second half takes runners along a combination of roads and trails, as the next stretch takes runners north all the way up to the turnaround point near the Shelburne shipyard, overlooking the boats parked in the docks along the harbor. 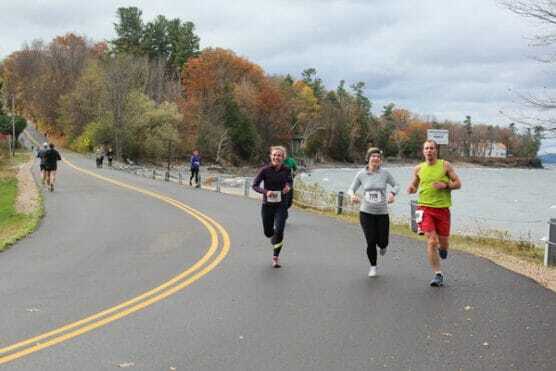 The return route back south again brings the field past the Lake Champlain Yacht Club, and then takes runners off the road and onto the Shelburne Bay and Ti Paths for the next couple of miles. You’ll run a historic trail. Runners stay on the Ti Path — a historic route that was used to transport the Ticonderoga steamboat from Lake Champlain to its current home in the Shelburne Museum in town — until meeting up with Harbor Road, which they’ll turn left onto for the home stretch back in to the Field House and the Shelburne Health & Fitness Center for the race finish. Though the race doesn’t take runners around this part of the area, after the event runners and spectators can head west a few miles and pay a visit to Shelburne Farms, a 1,400-acre working farm that’s also a National Historic Landmark and educational conservation center, as well as one of the area’s most well-known tourist attractions. 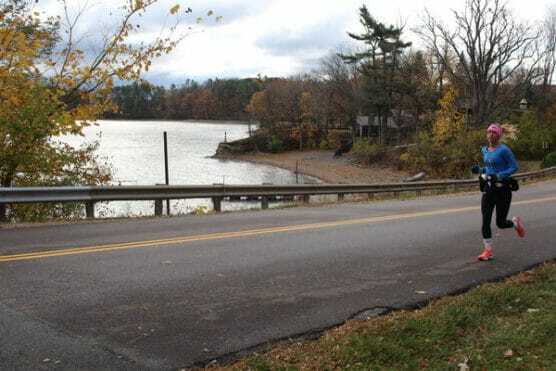 Nestled along the shores of Lake Champlain in northwestern Vermont, just south of Burlington, the town of Shelburne typically experiences cool to often cold weather in the mid-fall season, and usually sees slightly drier weather than in the late summer months. On race day (Nov. 3), the average low is 34ºF and the average high is 50ºF. See the race route map for the RaceVermont.com Fall Half Marathon here. 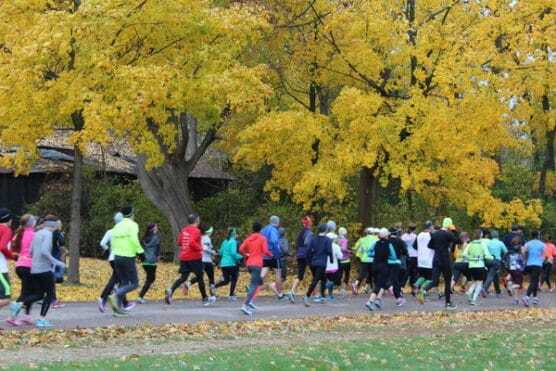 To reserve your spot in the 2019 running of the RaceVermont.com Fall Half Marathon, 10K or 5K race, visit the event website below. 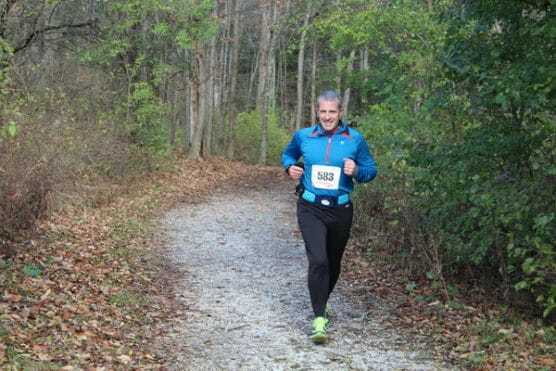 Ever run in the RaceVermont.com Fall Half Marathon? Share your impressions here, or post your review in the Comments below. Do you guys need volunteers for this? I haven’t been training in a few months so I’m not ready for another half but my friend is running and I thought volunteering might be cool if I decide not to do the 5k.